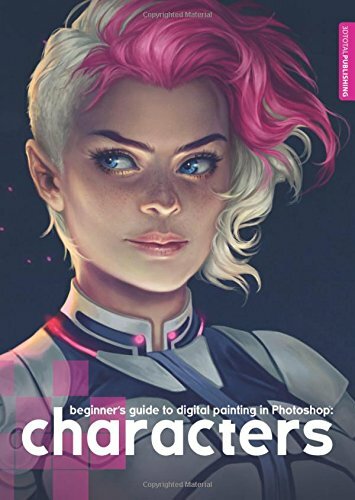 Publisher 3Dtotal has just put up some page previews for their upcoming book Beginner's Guide to Digital Painting in Photoshop: Characters on their website. I've picked some pages to show you below. The book will be covering character design and illustration using Photoshop as the drawing tool. There will be step-by-step tutorials and techniques. Looks like it's going to be a great guide for those switching from traditional to digital as well. Some of the featured artists and instructors are Derek Stenning (Born in Concrete), Charlie Bowater, Bram “Boco” Sels and Benita Winckler. The book's going to be a 224-page paperback. It's expected to be out in February. If you pre-order from 3dTotal's website, they are throwing in a 75-minute video tutorial on female portrait drawing by Bram “Boco” Sels. The book will be out in February.